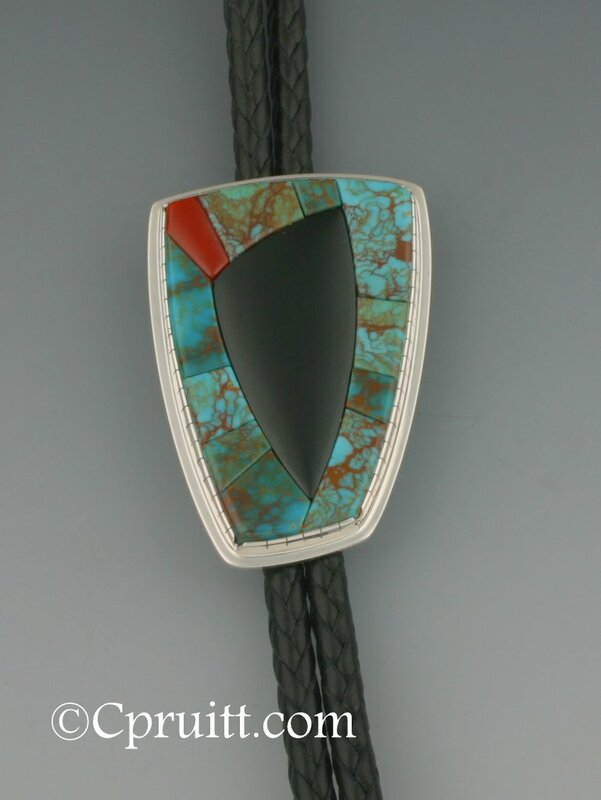 Natural Bisbee Turquoise Bolo ..
#8 Bolo: Textured Sterling silver , #8 turquoise, Coral ontop and sides. 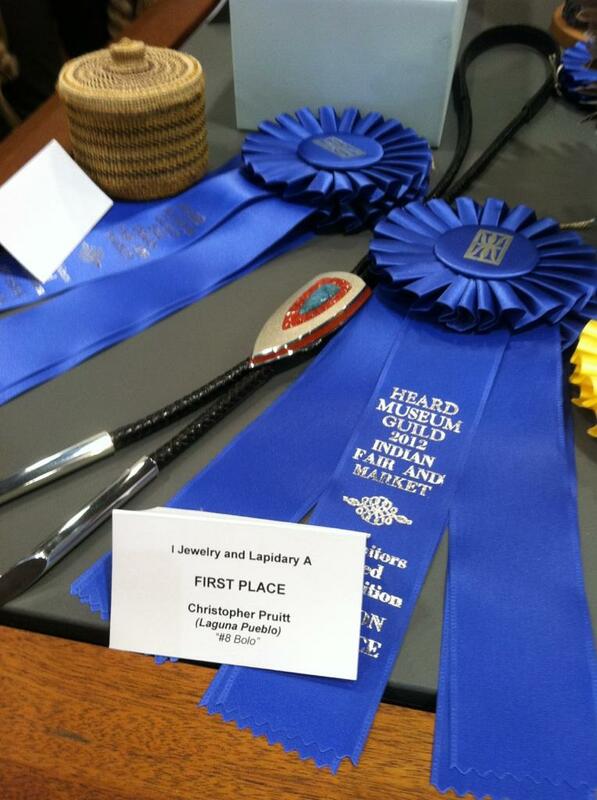 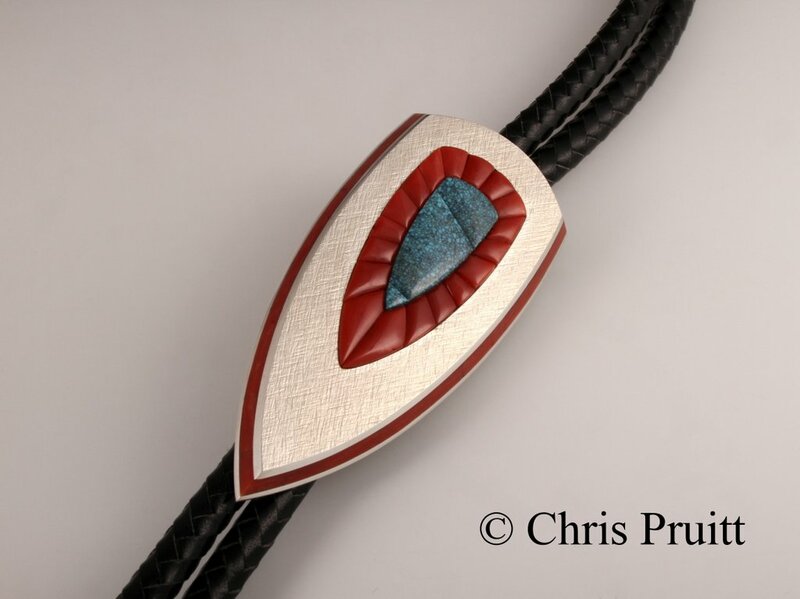 Materials: Sterling Silver,18k, Coral and Lone Mountain Turquoise… 2nd Place @ 2011 Heard Guild Indian Fair and Market…Division-A: Personal Adornment. 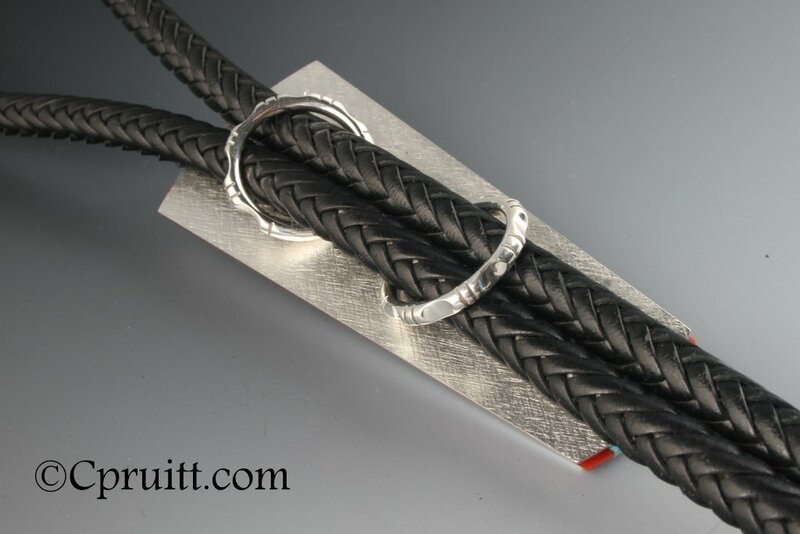 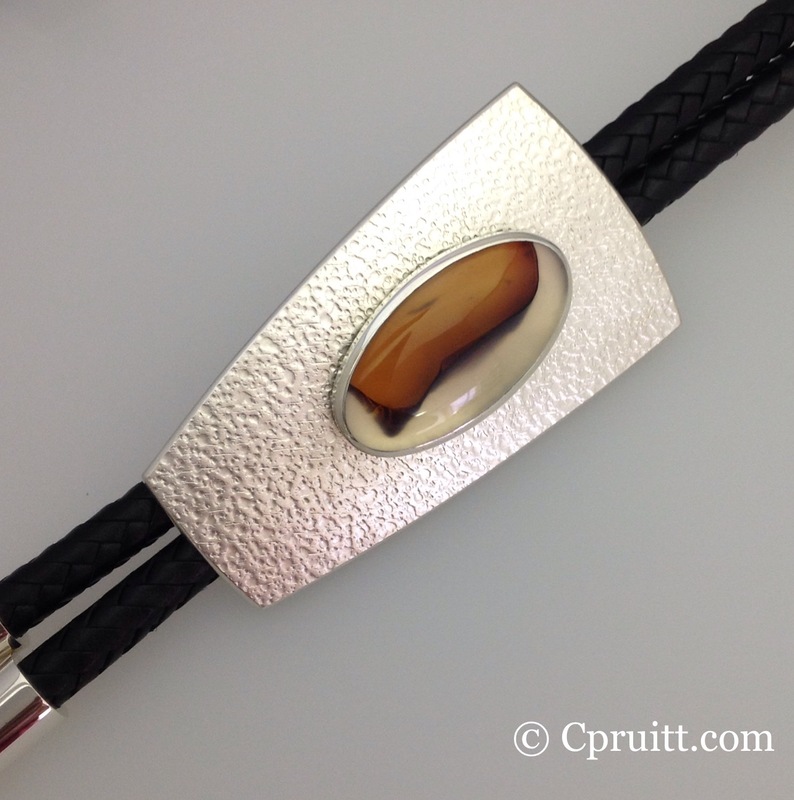 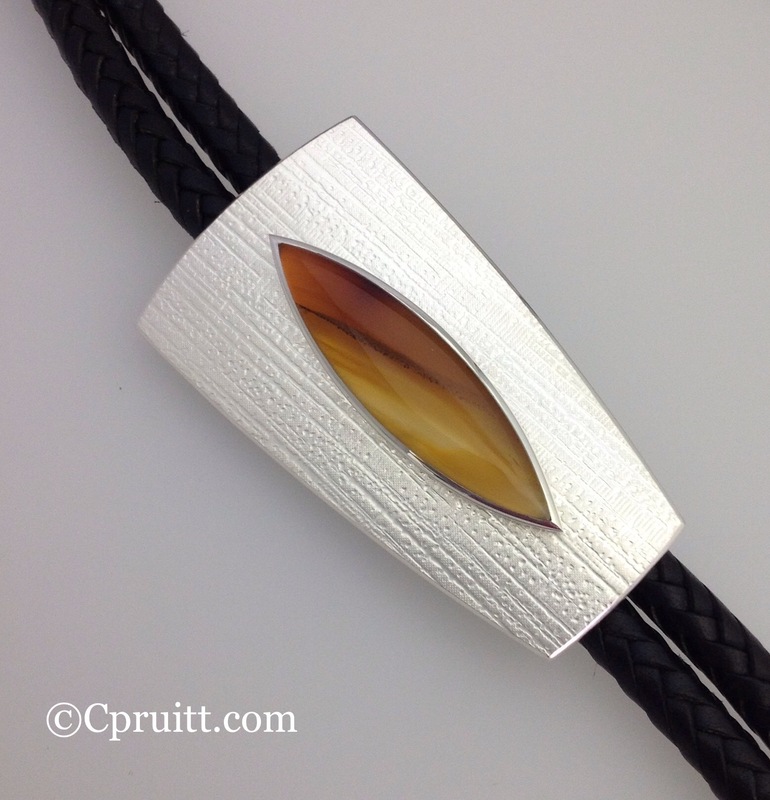 Materials: Sterling Silver, Water Buffalo Horn (black), Coral and Fossilized Ivory. 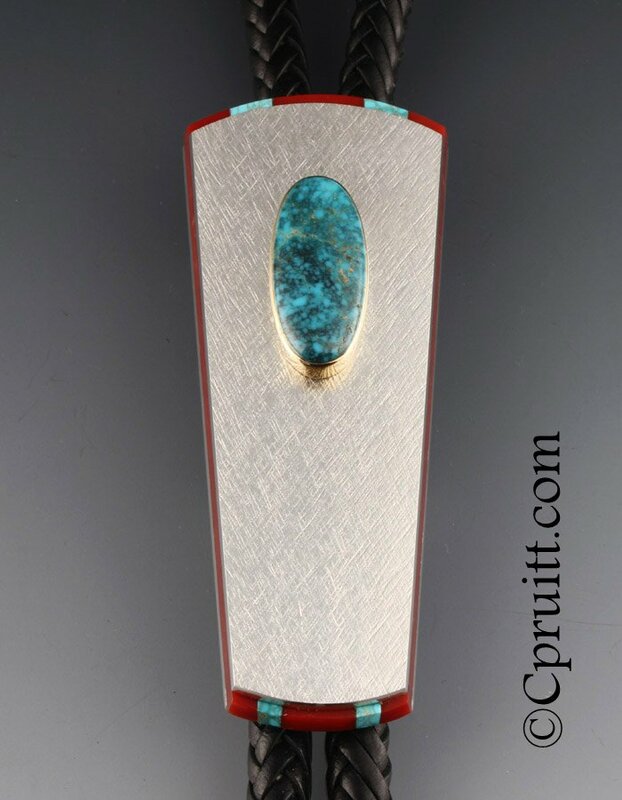 Materials: Sterling Silver, Thuya Burl, Fossilized Ivory,Coral and Cirico/Carico Lake Turquoise…….currently available for purchase at the Case Trading Post. 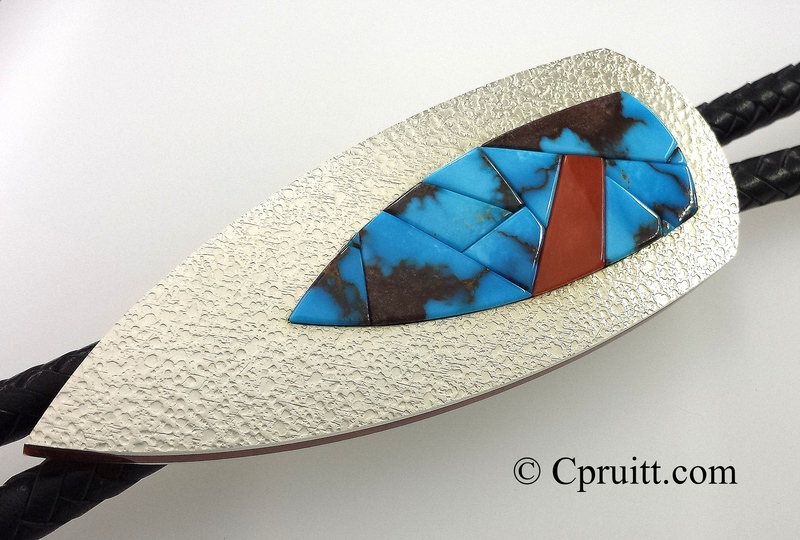 Materials: Sterling Silver, Thuya Burl, Fossilized Ivory,Coral and Cirico/Carico Lake Turquoise. 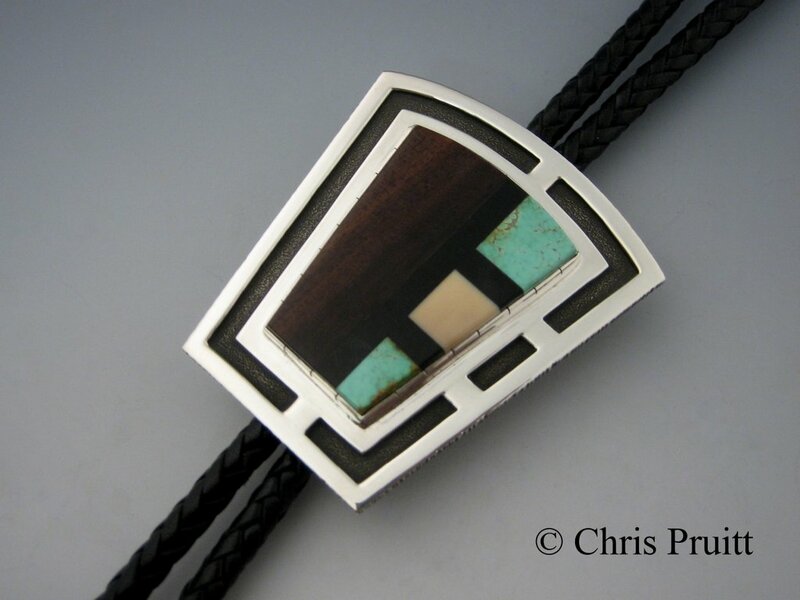 Inlay Bolo with Black Jade, Coral and Stabilized Turquoise. 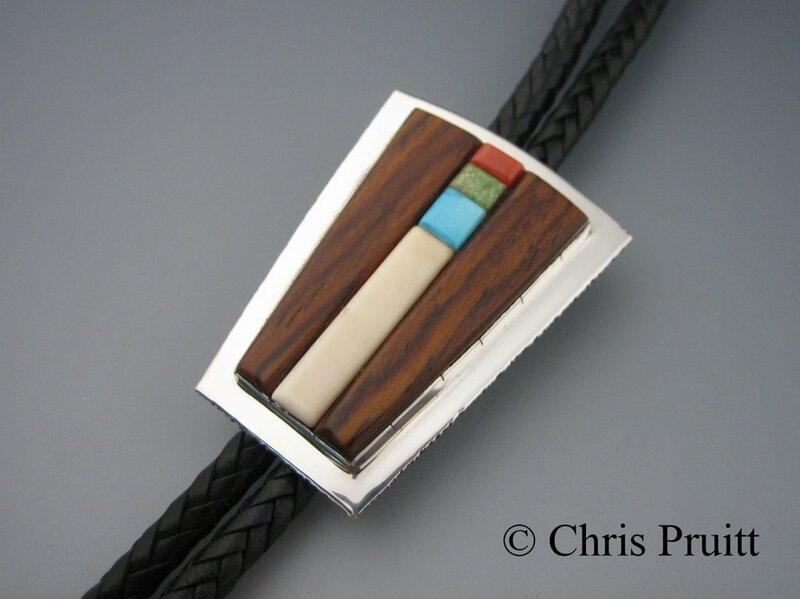 Early work : Sterling Silver, Ironwood, Mother of Pearl, Thuya Burl, Black Jade, Lapis, Coral and Water-Web Kingman Turquoise. 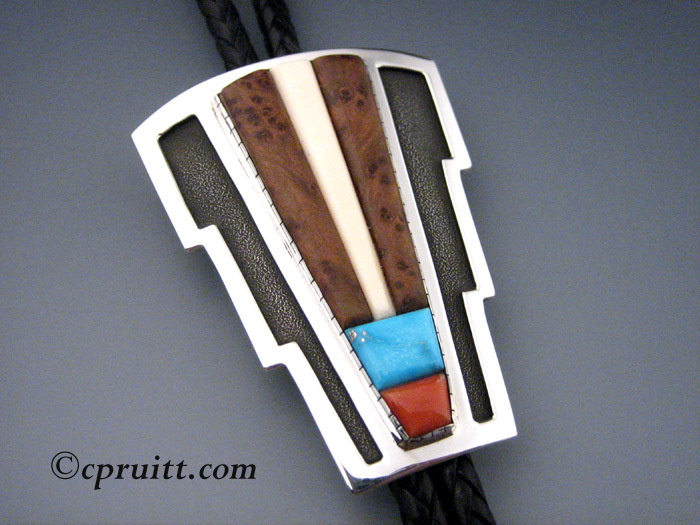 An early example of my ESterling Silver, Thuya Burl, fossilized Ivory, Coral and Morence Turquoise. 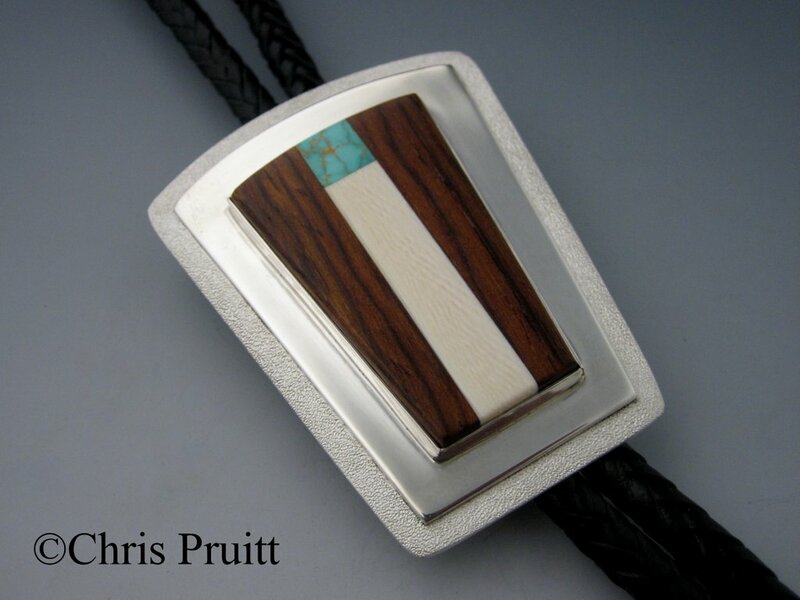 Early work of Overlayed Silver, with texture, Cabochon made of Ironwood, Fossilized Ivory Pilot Mtn. 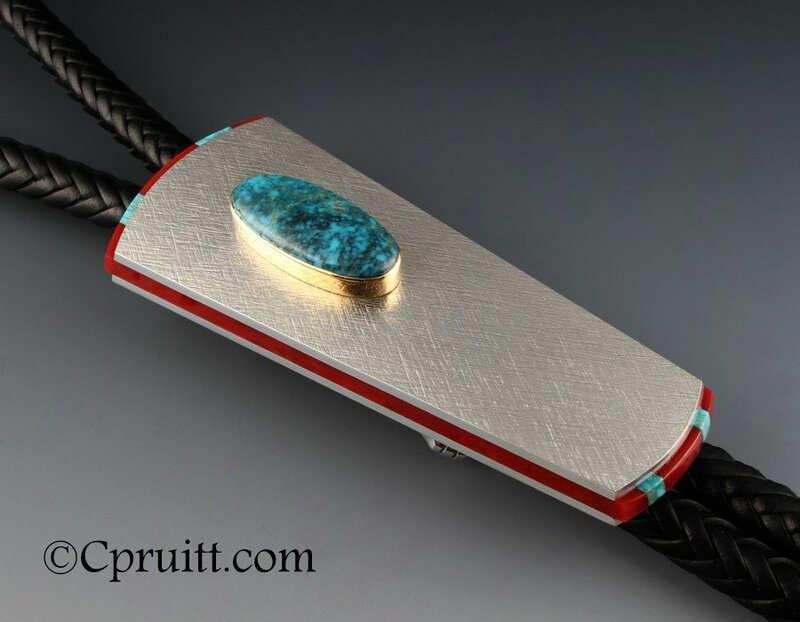 Turquoise. 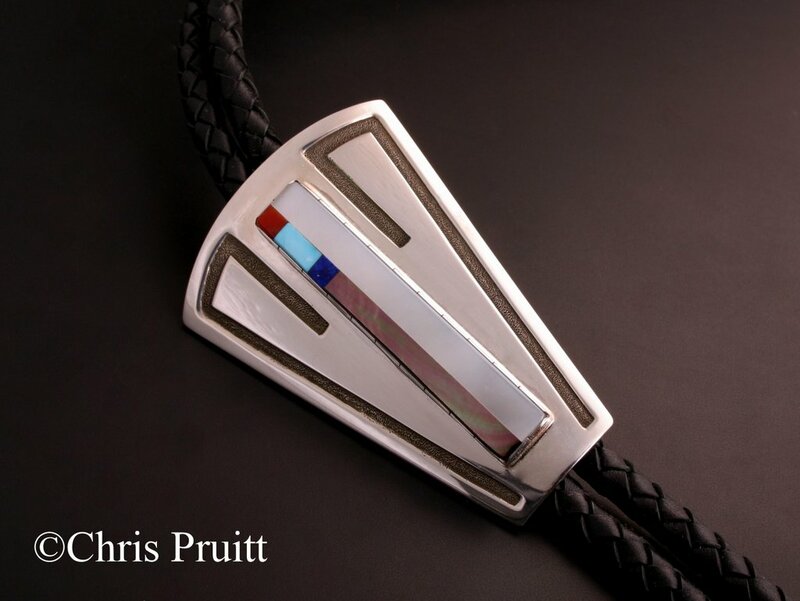 Early work: Overlay silver, cabochon of Mother of Pearl Black/White, Lapis, Sleeping Beauty Turquoise and Coral.